Today we more and more often find people tekena stroke, heart disease or hypertension. Even more surprising the disease is not only suffered by the elderly alone but those who are young. The existence of these diseases is certainly triggered by unhealthy lifestyles and foods that are also not healthy. The three diseases above are closely related to cholesterol. Yes, because cholesterol is able to clog blood vessels if they accumulate more capable of causing hypertension, if the blockage is in the heart it will be heart disease, and if the location of the blockage in the brain can lead to stroke, so cholesterol is very dangerous. 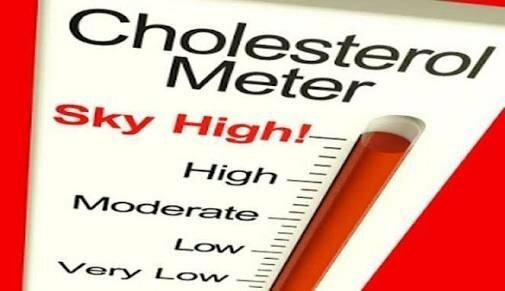 So what are the foods that can cause cholesterol in our body increases? Here are some foods that make cholesterol levels in the body increases. Its not just the food that you eat. Your body makes cholesterol as well. HOW you cook your food is important for heart disease risk. Oxidized cholesterol from high heating methods is dangerous to your cardiovascular system. Non-damaged large particle sized LDL is not harmful. A lot of people forget that cholesterol is essential for life. There is a limit for how low it should go. @driva has voted on behalf of @minnowpond. If you would like to recieve upvotes from minnowponds team on all your posts, simply FOLLOW @minnowpond. @reported has voted on behalf of @minnowpond.